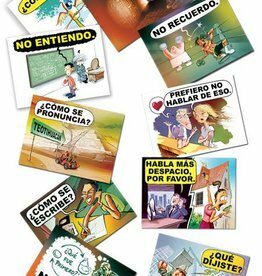 In order to understand, read, write and speak a language fluently, even adults need variation, interaction and repetition. 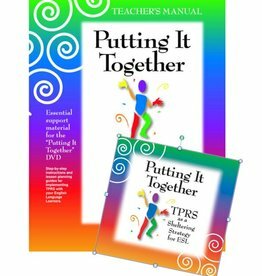 The TPRS teaching materials combine these elements in the context of stories and dialogues around topics for adults, and enable you to teach your class almost 100% in the target language. 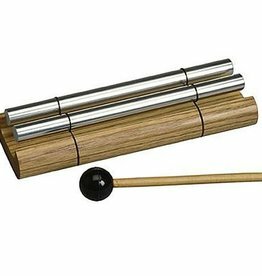 More action in class and better results! 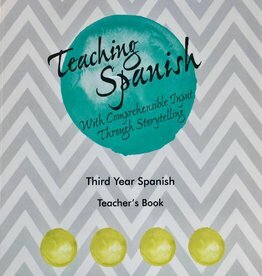 Practical, compact instruction manual for TPR Storytelling in adult language classes. 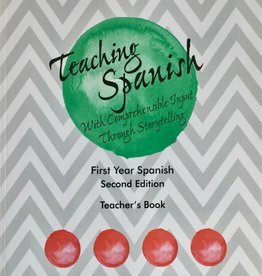 Many examples of class situations on DVD, and clear instructions in the accompanying manual. 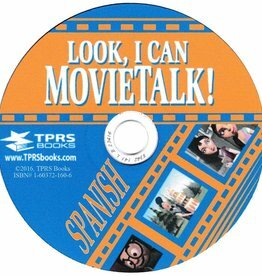 TPRS-manual and DVD "Putting it Together"
Ten captivating cartoons illustrating Spanish question words. Keep the conversation clear and flowing with these 10 awesomely amusing and effective memory aids in full color. 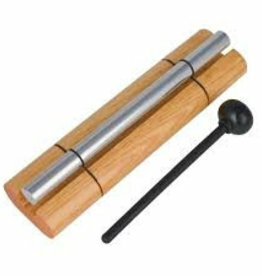 Enliven any class at any time! 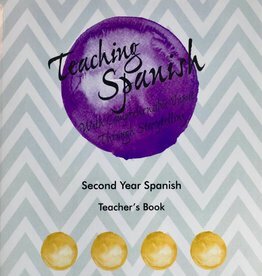 Easy conversation practice for all levels. Each playing-card-sized card contains a personal conversation-starting question. Order now!